No other nation excelled in building complicated combination guns of very high quality like the Germans. During the period 1840 till 1940, the finest break-open shotguns, rifles, drillings, and other combination guns made anywhere came from this country. The guns built before 1940 exhibit a high level of quality and finish. Collectors marvel at the subtle lines and superb craftsmanship of a Rasch or a Springer. Others find great satisfaction using a beautiful Sauer shotgun made well before World War I and still fully functional today. Most people who have had the thrill of picking up a fine old gun from Germany or Austria were in awe of its level of engraving, fit, and finish. Hunters delight in carrying a drilling in the field, for they know that they can take any game that presents itself-be it an upland bird or a wild boar. In the devastation following WW II, the manufacturing records and ledgers of the production of fine German sporting arms were often lost. This book-the first and only of its kind-documents the fascinating history and technical aspects of these intriguing guns whose mechanism and complexity are unsurpassed. Research material was gathered from old catalogs and ads, factory records, books, periodicals, interviews with individuals, and, of course, surviving firearms of the period. The book is divided into three sections: Hunting, Gunmakers, and The Gun Itself. These three sections capture the essence of the topics through the use of photos and illustrations. Long, explanatory captions make the pictures understandable even to the novice. Moreover, all the famous makers of the day are included: J. P. Sauer, Brenneke, Lindner, Sempert & Krieghoff, and others. Everything to do with break-open shotguns, rifles, drillings, and combination guns is discussed: the Frank drilling, the barrels, the action, the development and history of these guns, fences, set triggers, scopes, mounts, and so on. This is a must-have book for all who appreciate fine, complex, and beautifully made guns; the guns illustrated in this book are unique for their metal artistry, wood work, execution, and configuration. The German gun enthusiast especially will marvel at the geniuses of a bygone day that invented and built such guns. 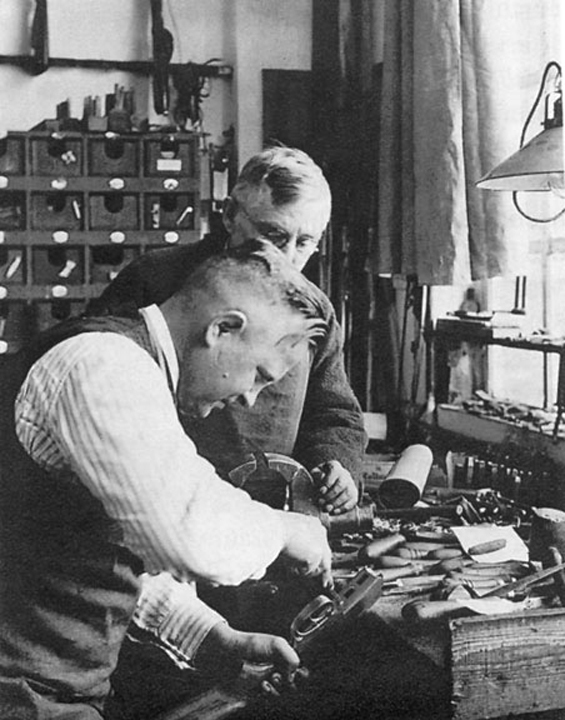 Never surpassed and never even equaled, the German combination weapons were made by master gunsmiths of the Golden Era and deserve a solid place in the Pantheon of Fine Gunmakers. These craftsmen were the absolute pinnacle of their profession. 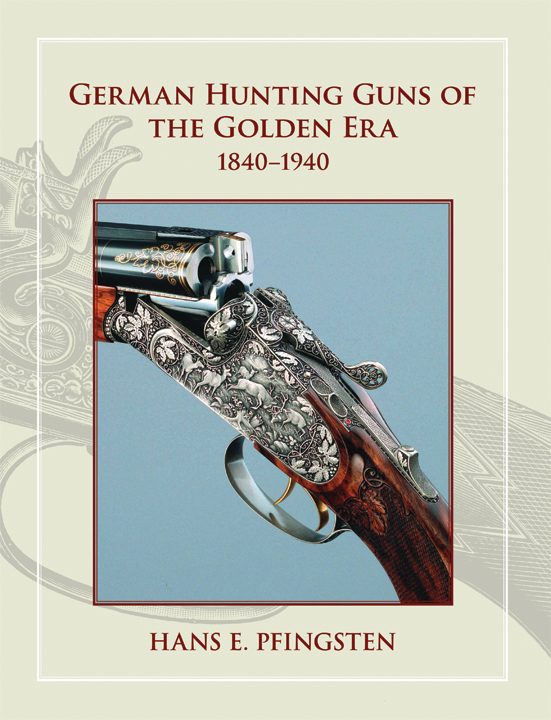 Submit your review for "German Hunting Guns of the Golden Era"